Washington, D.C. – The precipitous dismissal of FBI Director James Comey raises many questions and concerns for the FBI and for our country. The opinions of the membership of the Society of Former Special Agents of the FBI regarding the dismissal of Director Comey are varied and mixed. Reasonable minds may disagree as to the wisdom of some of Director Comey’s actions over the past year concerning the Clinton email investigation. It is important to keep in mind that Attorney General (AG) Loretta Lynch recused herself from making the prosecutorial decision concerning this investigation due to her meeting on the tarmac with former President Bill Clinton just before the decision was to be made by Lynch. Instead of assigning responsibility to her deputy AG, she essentially tossed the responsibility to the FBI and Director James Comey for such a decision. It is also critical to consider the fact that the Department of Justice Inspector General (DOJ-IG) has been in the process for several months conducting an independent inquiry into the FBI’s handling of the Clinton Email Investigation, the status and results of which have not been made public. Such an investigation would presumably look at DOJ’s role in the investigation and prosecutorial decision. The dismissal of Director Comey before the results of the DOJ-IG inquiry were known and released raises a number of questions which will hopefully be answered in the coming days. The immediate concern is now ensuring that whomever is chosen to replace Director Comey maintains the integrity and independence of the FBI; the next Director of the FBI must be someone who is apolitical, independent and of unimpeachable character. Most of our membership who have had the privilege of working with Mr. Comey believe his integrity and intent are beyond reproach. His leadership was appreciated by those still active in the FBI. We sincerely appreciate Director Comey’s leadership and service, as well as his support of, and active involvement with, former Special Agents of the FBI. He respected, understood and built upon the legacy of generations of Agents who previously served our country and the FBI. We hope the process of selecting a new Director for the FBI will include an opportunity for input and assistance from former FBI Agents who can provide valuable perspective and insight. 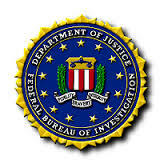 The Society of Former Special Agents of the Federal Bureau of Investigation is a professional and fraternal organization of over 8,500 members who served with honor as Special Agents of the FBI. The Society was founded 80 years ago and is the largest association created specifically for former Federal Law Enforcement Officials.